The following piece was written by Lindsey Guenther, Executive Vice President, Strategy & Partnerships for Remedy Health Media. Advertising Week 2018 was earlier this month in New York. Like every year, the annual event brought together advertisers, marketers and vendors from around the world to discuss the latest industry trends, as well as what the future looks like. And while many different topics were touched on during the week’s sessions, there were three that especially stood out to me. Here’s a closer look at them. Brand safety was one of the hottest topics at Advertising Week for the last two years now. That didn’t change in 2018. From YouTube to Facebook, advertisers have become increasingly concerned with steering clear of offensive content. And although YouTube made a big search announcement during the event, I thought it was still marred by their issues with brand safety. In response to mistakes by media partners and technology vendors, brands are rightfully demanding changes. Today, more ad dollars than ever are being spent to protect brands — either on services like DoubleVerify, in-housing programmatic, or on direct sales with premium publishers. Regulation is one of the hottest buttons in the industry. That was clear at the event. Earlier this year, GDPR dominated conversations. Now, everyone is concerned about the US embracing equivalent legislation. This has already begun at the state level, in California. For marketers, expect more regulation, not less. Ultimately, this means that programmatic will continue to be restricted, with industries like pharma and insurance shifting spend to direct channels. And as personal data becomes less actionable, marketers will have to rely on partners and formats that deliver innovative storytelling with unique creative. Not hyper-targeted, automated inventory. Every Advertising Week is an opportunity for TV networks and service providers to attempt to highlight what they’re doing with data. Like clockwork, they trot out buzzwords about machine learning, multi-touch attribution and programmatic TV to try and highlight how they’re making linear smarter or more performance-oriented. But what has really changed over the last five years? Unfortunately, not much. TV viewing is waning as millennials and younger consumers have moved on to digital platforms. And ad dollars are following. Much of the conversation at Advertising Week was about how TV is becoming more data-driven. But it should’ve been about how linear TV has failed to move the needle for performance marketers, who’ve shifted spend to digital channels and won’t go back. Who can blame them? These were the three trends that dominated the conversation at Advertising Week, from sessions to back-room discussions with clients and partners. Looking ahead, I believe they’ll remain top-of-mind for the rest of the year — and well into 2019. Concerns over brand safety, increased regulation and TV’s fall from grace — these issues aren’t going anywhere soon. 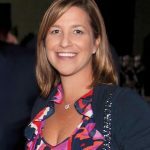 Lindsey Guenther has nearly 15 years of experience in the digital media space on the publisher side of the business. As EVP of Executive Vice President, Strategy & Partnerships for Remedy Health Media, she manages the execution, delivery, marketing and profitability for the company’s advertising programs across all therapeutic categories. Before being acquired by Remedy, at HealthCentral Lindsey was the Senior Vice President of Advertising Operations. Lindsey began her career in Account Management and Advertising Operations for Washingtonpost. Newsweek Interactive, now known as Washingtonpost Digital.